Wellington, FL – March 28, 2012 – McLain Ward (USA) and the powerful black stallion Super Trooper de Ness emerged victorious in the $50,000 Ruby et Violette WEF Challenge Cup Round 12 on Thursday, March 28, as part of the twelfth and final week of competition at the 2013 FTI Consulting Winter Equestrian Festival (FTI WEF). 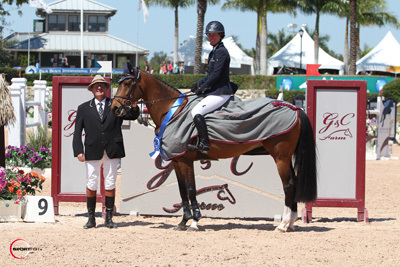 Competing at the Palm Beach International Equestrian Center (PBIEC) in Wellington, FL, Ward topped U.S. riders Charlie Jacobs, Christine McCrea and Reed Kessler to round out the top four in the international field. Other wins for the day went to Lauren Hough and Ohlala in the $33,000 G&C Farm 1.45m speed class and Darrin Dlin and Tienna in the $10,000 Adequan 5-Year-Old Young Jumper Final. 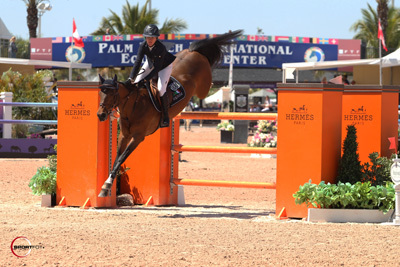 In the hunters, Havens Schatt and Kaepernick topped the Perfect Products Pre-Green Level 1 Hunters. The 2013 FTI WEF circuit concludes with its final week of competition, sponsored by FTI Consulting, on March 27-31 featuring CSI 5* show jumping. 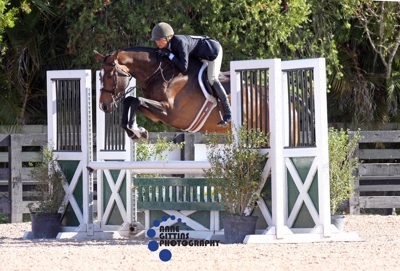 Highlights of the week include Adequan Young Jumper Championship Classics with the $15,000 6-Year-old and $20,000 7 and 8-Year-Old Classics on Friday. 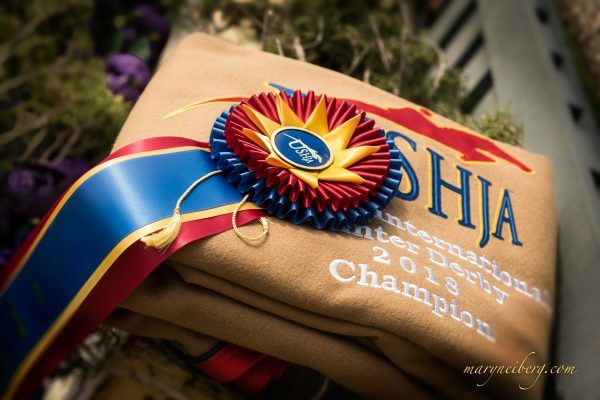 The $33,000 Suncast® 1.50m Classic and $500,000 FTI Consulting Finale Grand Prix CSI 5* will be featured on Saturday, and the $50,000 USHJA International Hunter Derby will conclude competition on Sunday. The final round of the Ruby et Violette WEF Challenge Cup Series featured 40 horse and rider combinations on Thursday afternoon. Ireland’s Alan Wade designed the course, and seven went clear to advance to the tie breaking jump-off. The challenging track for the short course saw five entries jump without fault with an unbeatable round set forth by McLain Ward and Grant Road Partners’ Super Trooper de Ness in the winning time of 34.82 seconds. 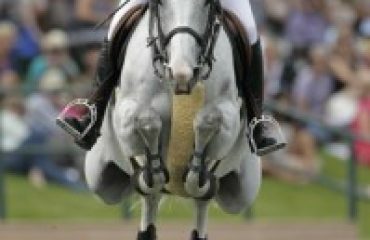 Ward and the eleven-year-old Belgian Sport Horse stallion (Vigo d’Arsouilles x Polydor) have had a fantastic circuit with many top finishes. They began with a win in the $6,000 Spy Coast Farm 1.40m jumpers during week two and moved up to top the $25,000 Suncast 1.50m Championship Jumper Classic later that same week. 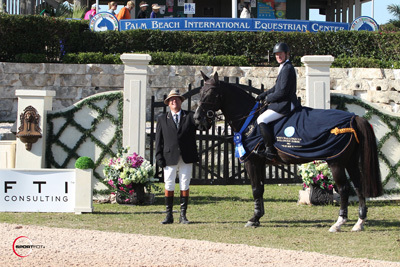 They also won the $43,000 Ruby et Violette WEF Challenge Cup during week eight, among other top finishes. With this week’s win to cap off an excellent winter season, Ward praised course designer Alan Wade for the great track in Thursday’s class. Ward was definitely rewarded for his excellent ride in Thursday’s class. Although he admits to not having the smoothest round in the jump-off, Super Trooper put in a fantastic effort. When Charlie Jacobs and CMJ Sporthorse LLC’s Flaming Star blazed an amazing pace in 36 seconds right before their round, Ward and Super Trooper went in and immediately stole the lead. 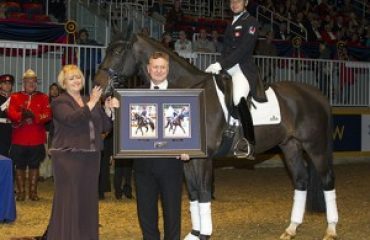 McLain Ward and Super Trooper de Ness in their winning presentation with ringmaster Cliff Haines. 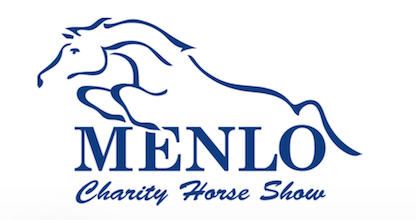 Thursday’s busy competition schedule also featured a $33,000 G&C Farm 1.45m speed class with the roster of top finishers including Lauren Hough (USA) and Ohlala, Rodrigo Pessoa (BRA) and HH Let’s Fly, and Eric Lamaze (CAN) and Wang Chung M2S. Course designer Alan Wade saw 52 entries with 16 clear rounds for the one round speed class. Once again, the rounds got faster and faster as some of the best went late in the line-up. Lauren Hough and The Ohlala Group’s Ohlala were the winners with their typically fast time of 56 seconds flat. The success adds to a long list of FEI world ranking wins for the pair, including a top finish in this same class during week nine as well as a win in last week’s $33,000 Spy Coast Farm 1.45m speed class. Lauren Hough and Ohlala. Photo © Sportfot. 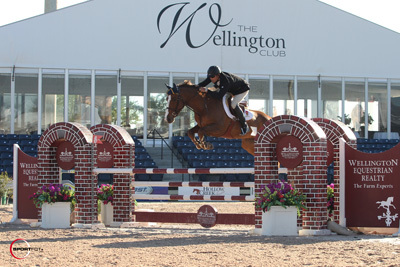 Rodrigo Pessoa and Double H Farm’s HH Let’s fly finished second in Thursday’s round with their time of 56.31 seconds. Last week’s winner, Wang Chung M2S, owned by Morningside Stud and Torrey Pines Stable and ridden by Eric Lamaze, finished third in 56.68 seconds. For Lauren Hough and Ohlala, it was once again a smooth and easy gallop to the win. Lauren Hough and Ohlala in their winning presentation with ringmaster Cliff Haines. Photo © Sportfot. 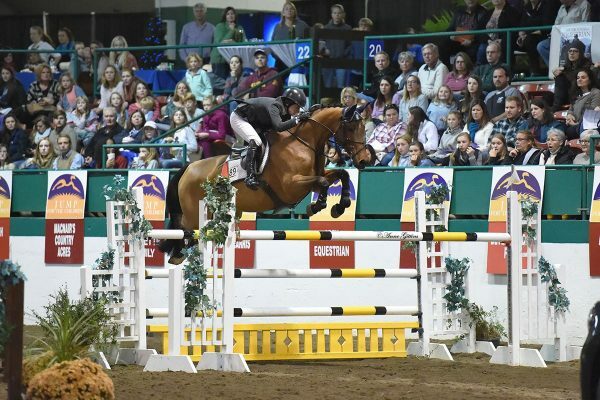 The $10,000 Adequan 5-Year-Old Young Jumper Classic was held on Thursday morning with a win for Canada’s Darrin Dlin and Tienna, owned by Susan Grange. Held as the final for the division during this year’s FTI WEF circuit, the class saw 31 entries in the first round of competition with sixteen going clear to the jump-off. Darrin Dlin and Tienna completed the fastest of five double clear rounds in 37.201 seconds for the win. Peter Wylde and North Star’s Darthus finished second in 37.496 seconds. Jill Prieto and Hyperion Stud’s Dakota VDL finished third in 37.569 seconds. Darrin Dlin and Tienna. Photo © Sportfot. Tienna is a Dutch Warmblood mare by the stallion For Pleasure and out of the Polydox mare Bequia. She is home-bred, born and raised at Susan Grange’s Lothlorien Farm in Cheltenham, Ontario, Canada. Tienna is a full sister to the mare Janou that Dlin rode to the win in this same class last year. Darrin Dlin and Tienna in their winning presentation with ringmaster Cliff Haines. Photo © Sportfot. 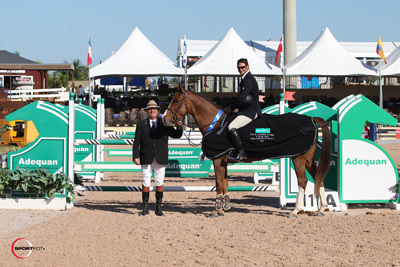 Kaepernick and Havens Schatt took home the championship prize in the Perfect Products Pre-Green Hunter Level 1 division during the final week of the FTI Consulting Winter Equestrian Festival (FTI WEF). 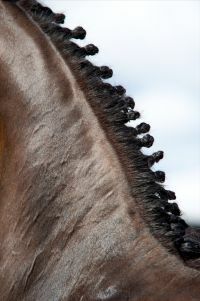 The five-year-old Warmblood gelding is owned by Schatt’s client, Debbie Stevens. Kaepernick and Schatt were first, third, and third over fences and placed fourth under saddle. Reserve champion was Ransom, ridden by Nick Decosta and owned by Carolyn Gouse. Decosta rode Ransom to sixth, second, and second place over fences and wrapped up the division with a second place ribbon under saddle. Schatt imported Kaepernick from Europe last fall but delayed showing him until the 2013 FTI WEF as he was still “very much a baby.” Kaepernick was clearly worth the wait, earning reserve championship honors at his first show during week ten in addition to the week twelve championship title. Photo © Anne Gitttins Photography. Schatt’s slow but deliberate approach to bringing along her young horses has proven to be a winning approach judging by the myriad of successful young horses she’s shown at the FTI WEF this season. “I really believe in taking my time with them. I brought Kaepernick over here [to the show grounds] maybe three times and did warm-ups on Tuesday but I kept it easy. If I jumped the course, I jumped the course. But if I jumped two jumps or even if he didn’t go in the ring that day, that was okay too. He told me what he was ready for and it’s worked perfectly,” Schatt described. 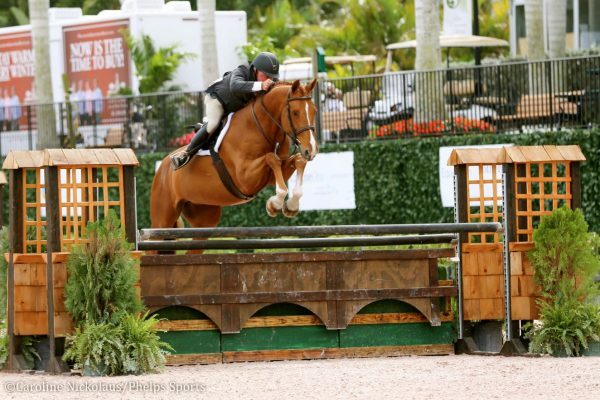 Schatt has plenty to look forward to with the talented young horse after his impressive debut at the FTI WEF. “I have really high hopes for him. He’s really scopey. He’s very brave. When he first came from Europe, he was quite spooky, and that’s one reason I took my time with him. But now, he’s been in two different rings and he’s very brave. He has a big stride and big scope. I think he’s ready to move on from the three-foot [division],” Schatt commented. 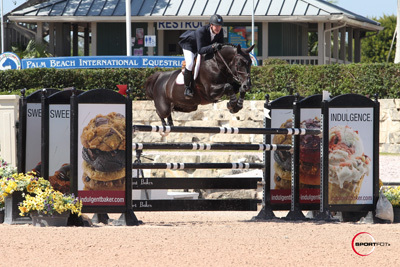 Kaepernick will continue to compete at his current level throughout the spring, but Schatt aims to have him moved up by the time they return to the FTI WEF in 2014. Schatt is eager to see the pair get to know each other and looks forward to watching Stevens compete with Kaepernick in the future. “I let her ride him at home and jump a few days. He’s still very green for an amateur, but they did get along very well. When she made mistakes, he didn’t hold it against her. I think when the time is right, it’s going to be an awesome match,” Schatt expressed. Schatt is also grateful to have an owner completely on board with her approach to training. “For me, if you don’t start on a good note with amateurs, it usually doesn’t go well. She’s been nice enough to tell us when we’re ready, she’s ready, and she’ll enjoy watching him until then,” Schatt stated. The final week of the FTI WEF, presented by circuit title sponsor FTI Consulting, will continue Friday with the Adult Amateur Hunter 36-50 division, hosted in the Rost Arena of the Palm Beach International Equestrian Center. 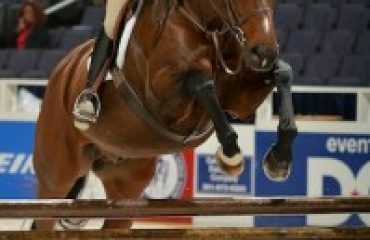 The Adequan Young Jumper Championship Finals will continue with the $15,000 6-Year-Old and $20,000 7 and 8-Year-Old Classics in the International Arena. For full results, please visit www.showgroundslive.com.